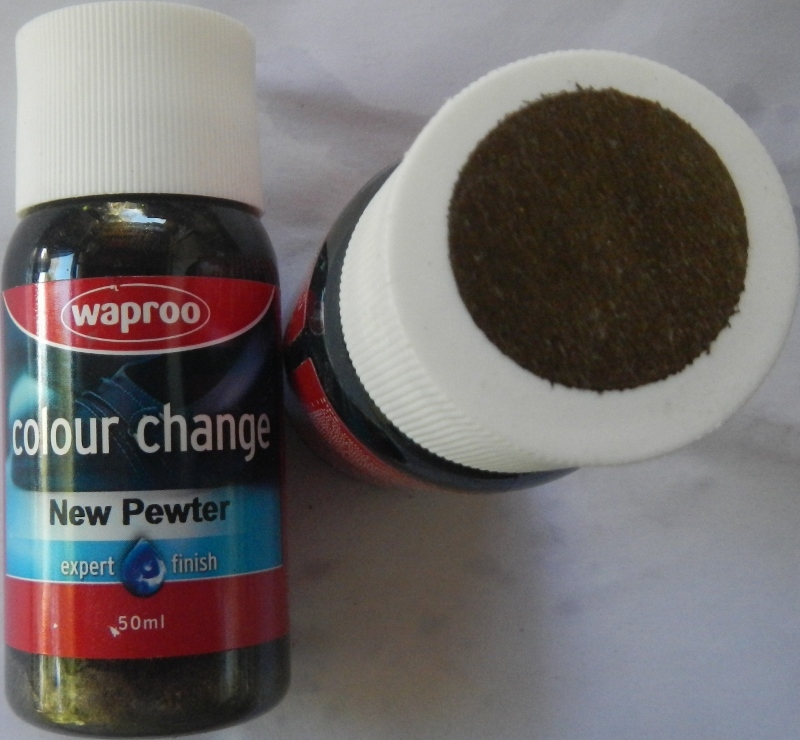 "waproo leather colour change paint For shoes and Boots"
The colours on this chart are to be used as a guide only as the colour will vary depending on the monitor. 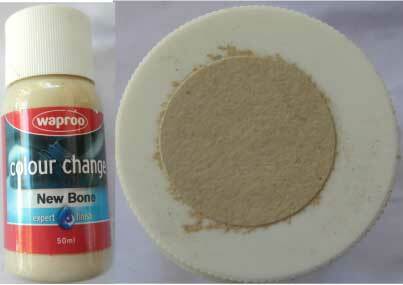 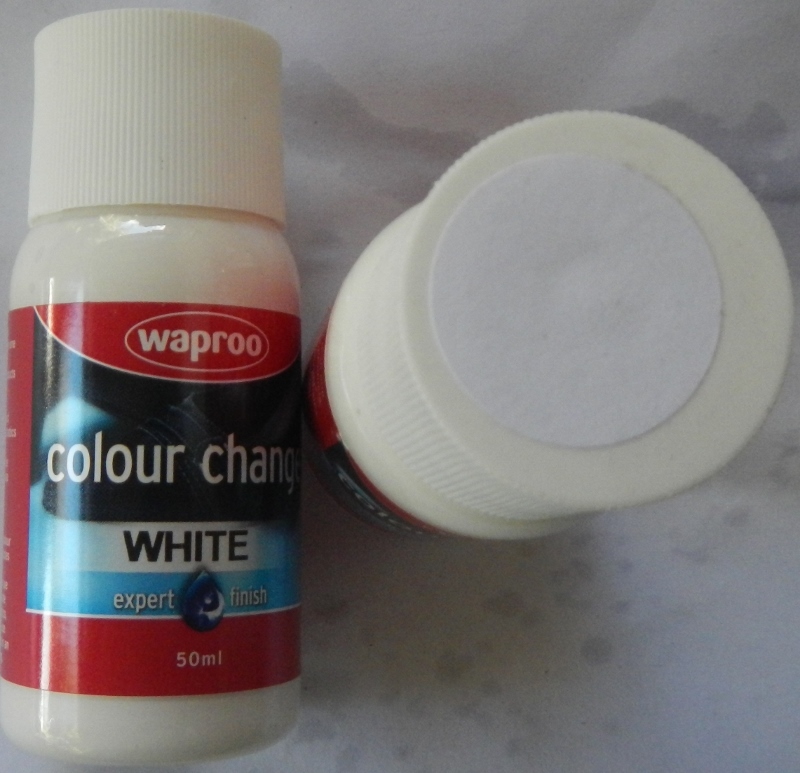 Waproo Leather Colour Change is perfect for fixing those scratches. 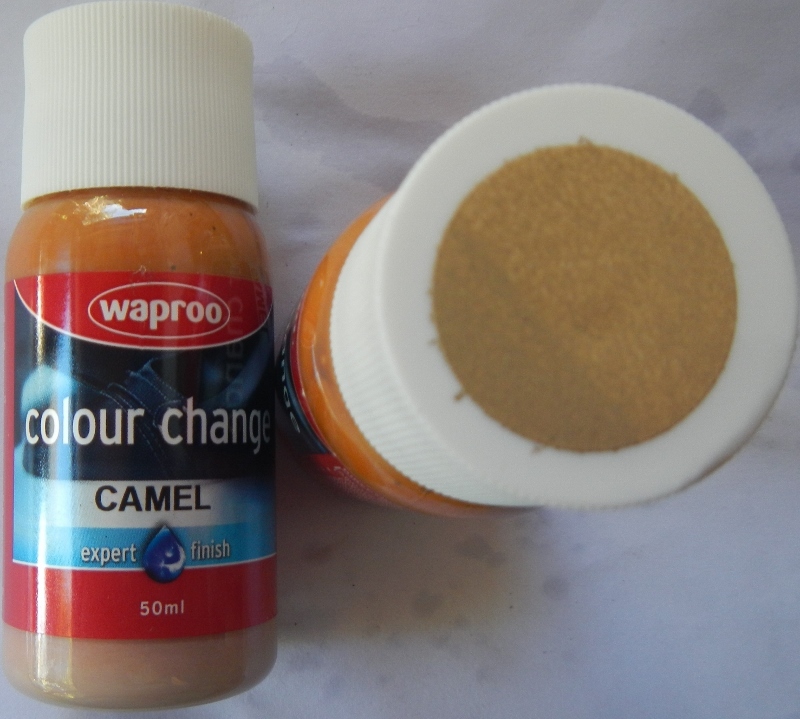 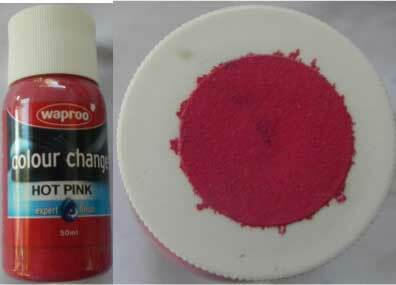 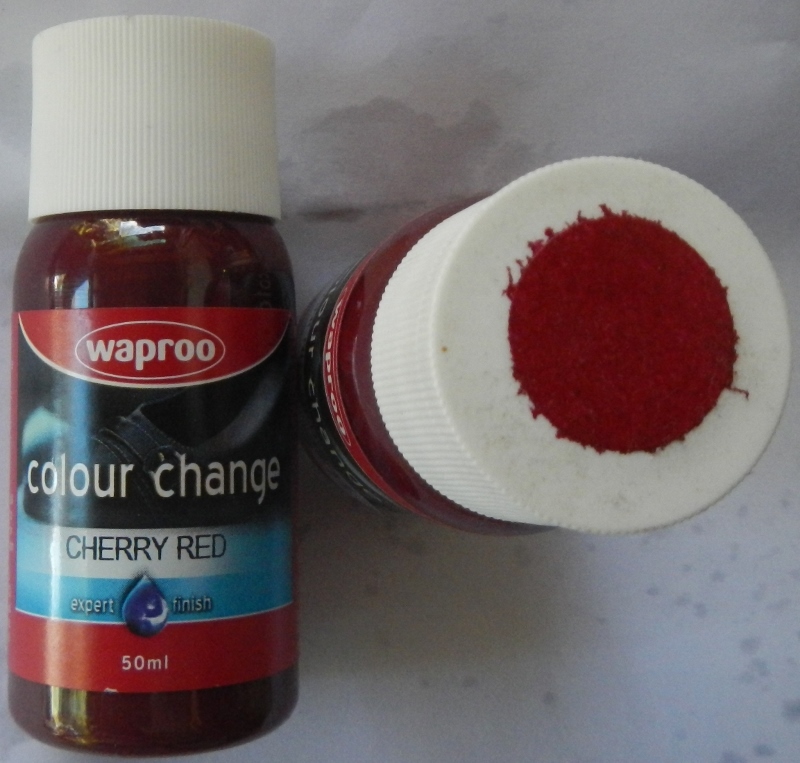 Waproo Colour change is waterbased and can be used on synthetic as well as leather surfaces. 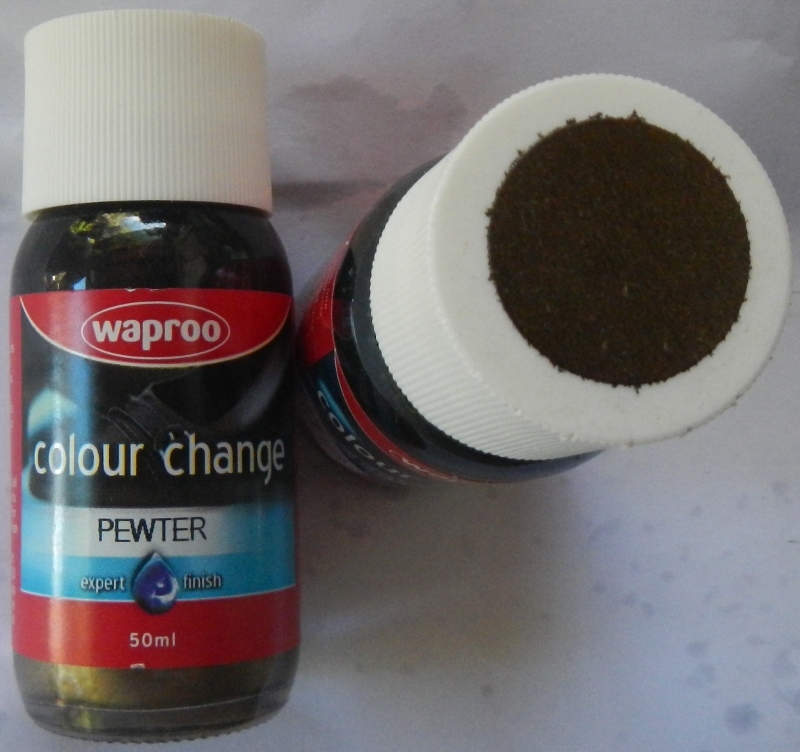 For synthetics apply Waproo Preparer as a cleaner to remove any old oils or dirt. 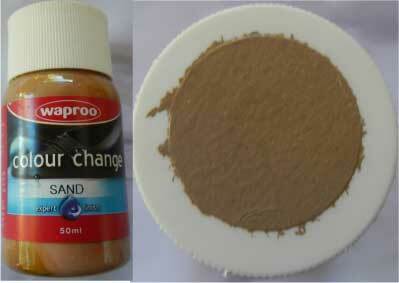 On leather surfaces apply Waproo Stripper ( Waproo Leather Stripper ) to remove any oils or dirt. 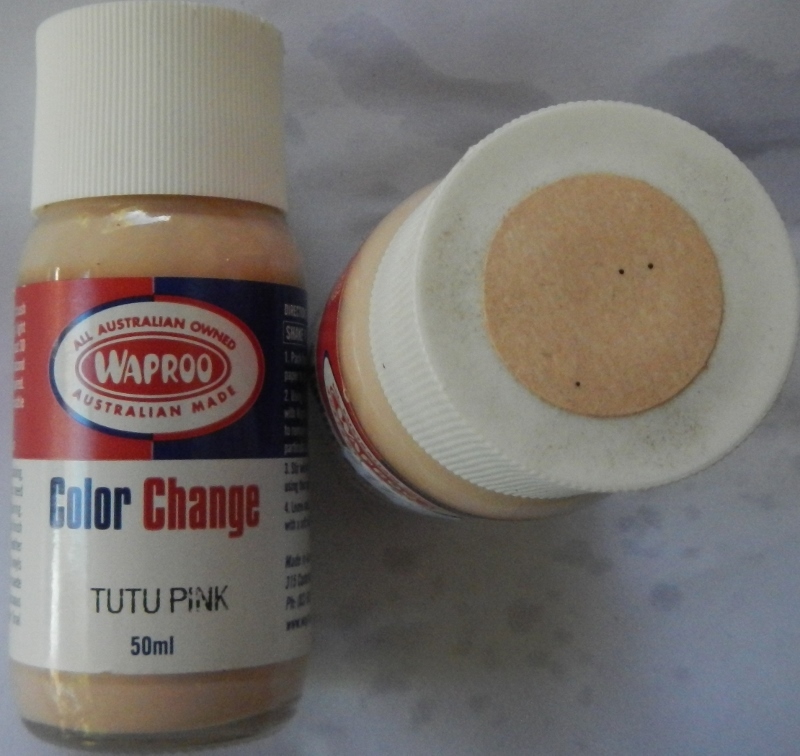 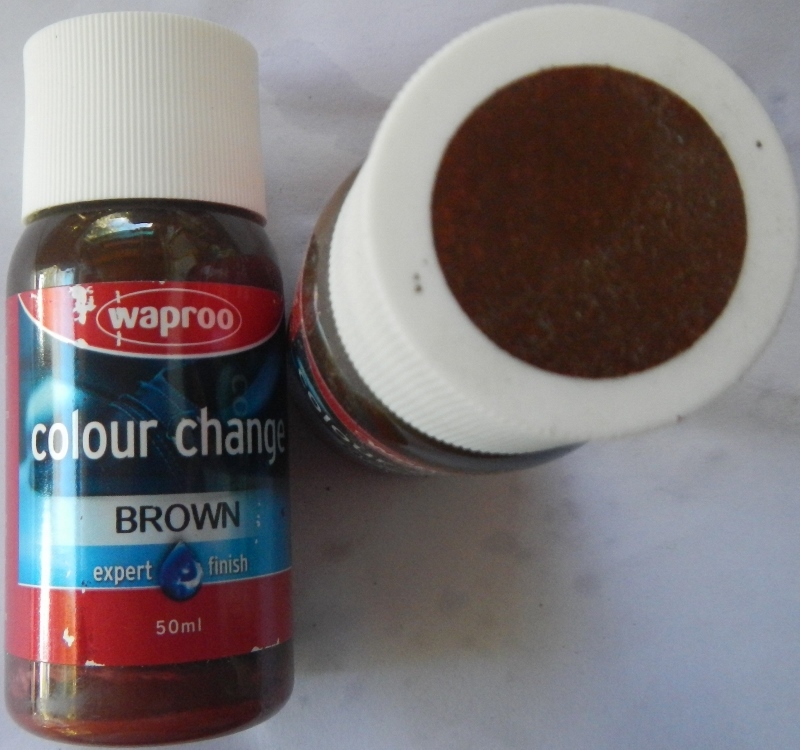 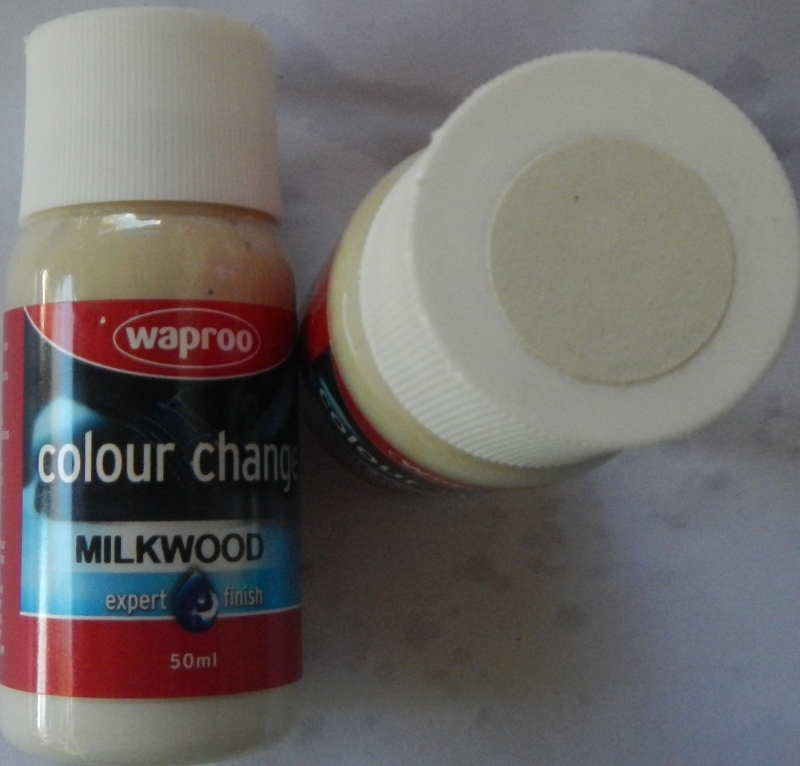 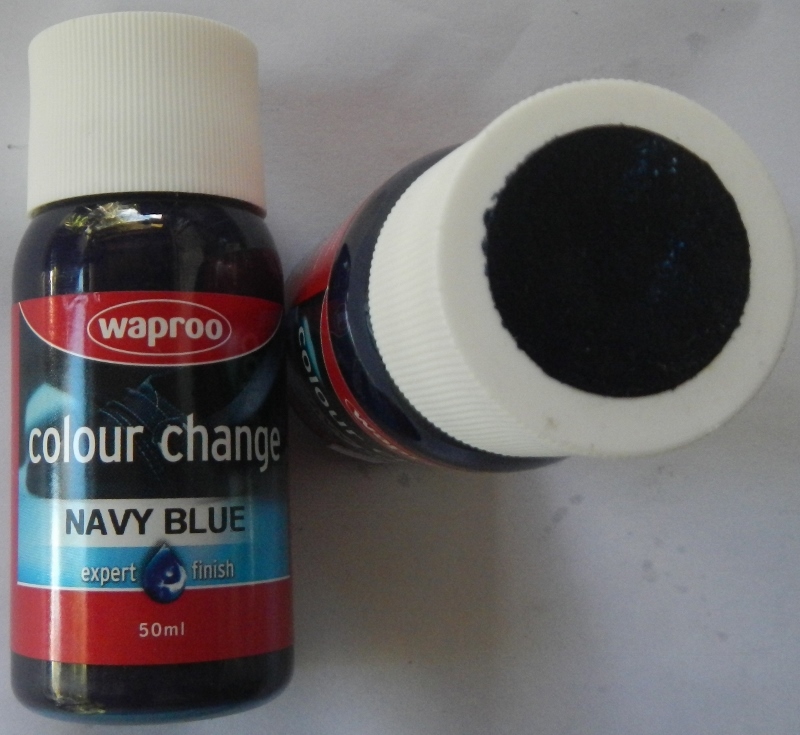 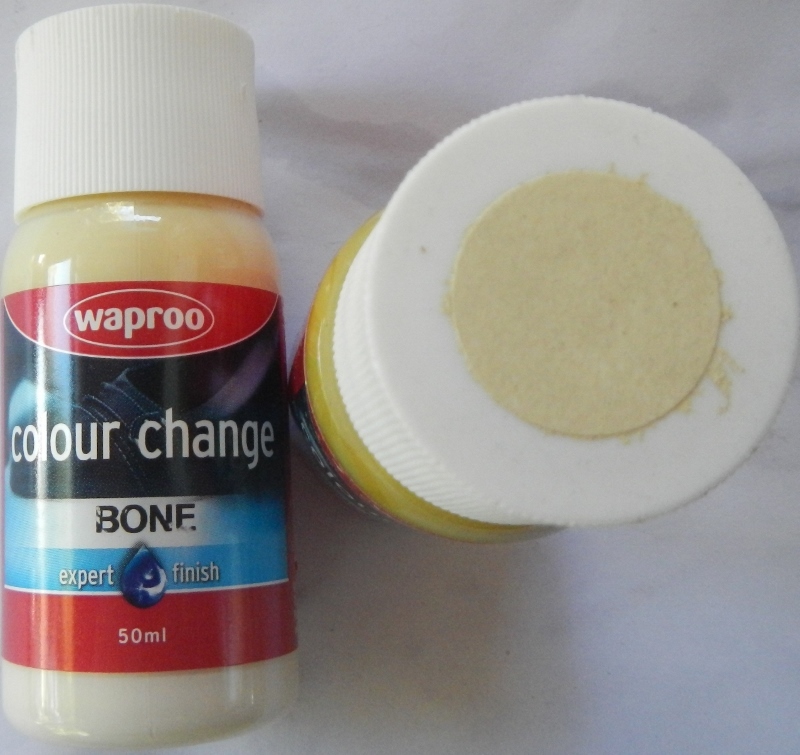 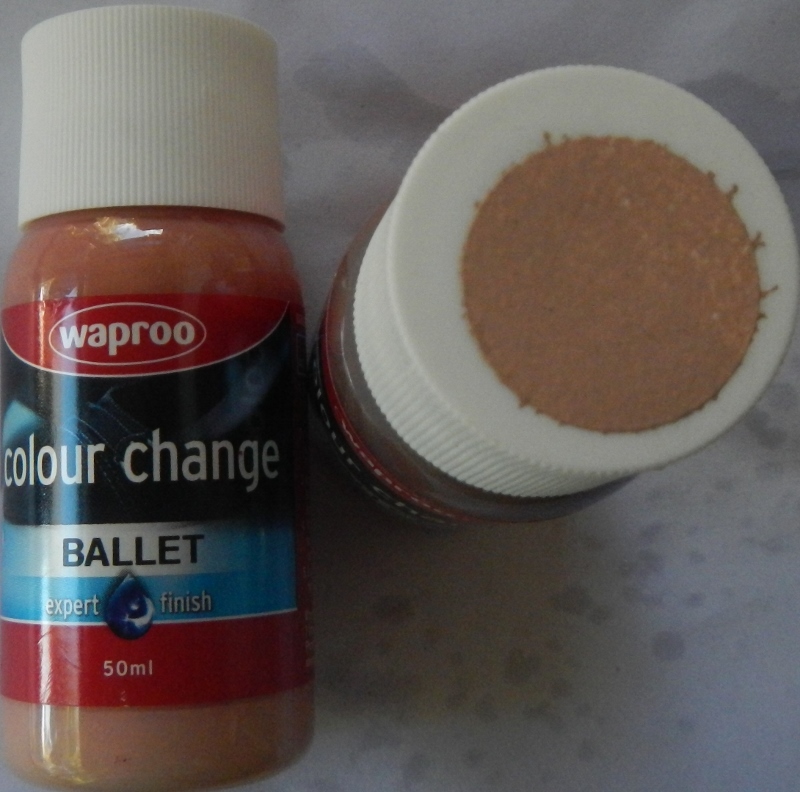 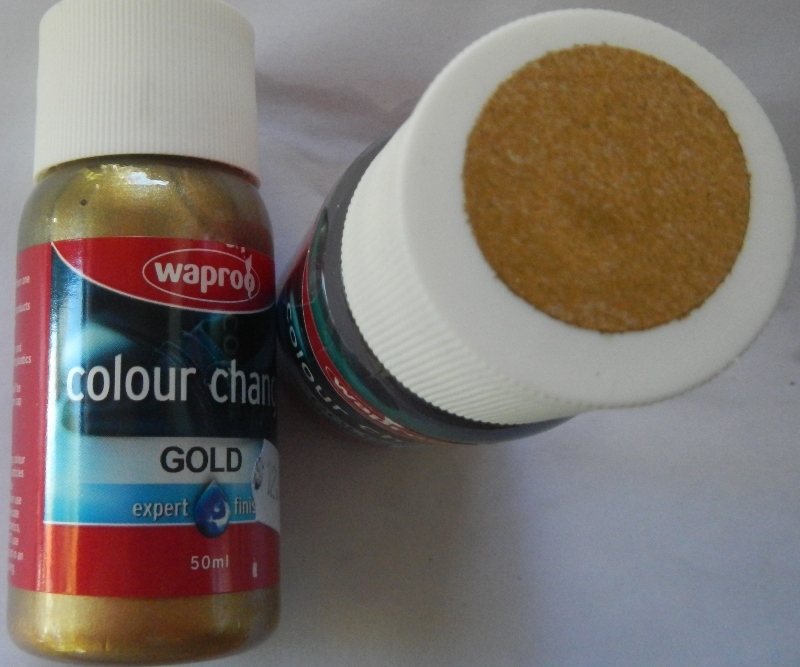 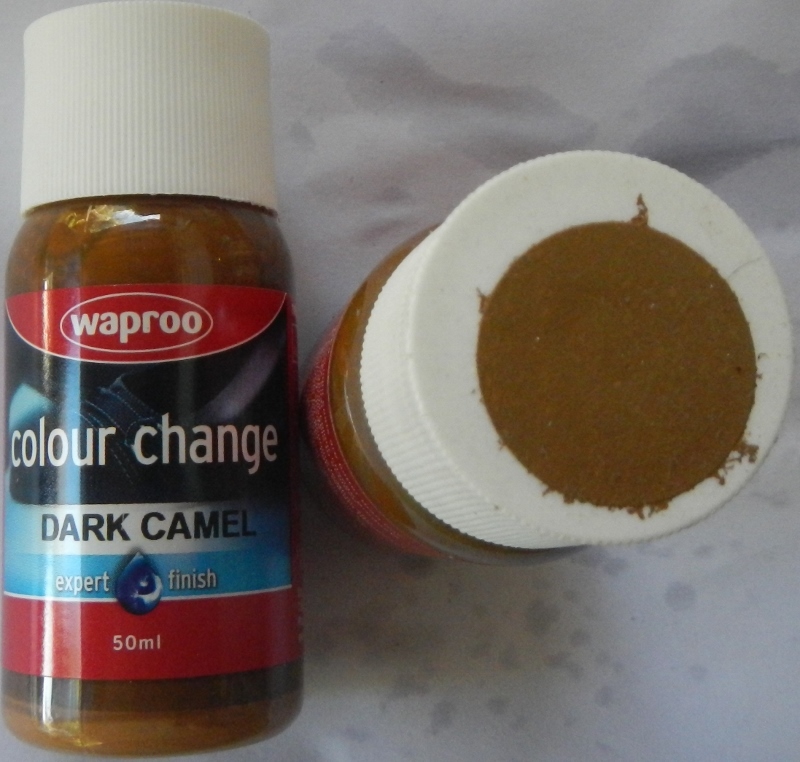 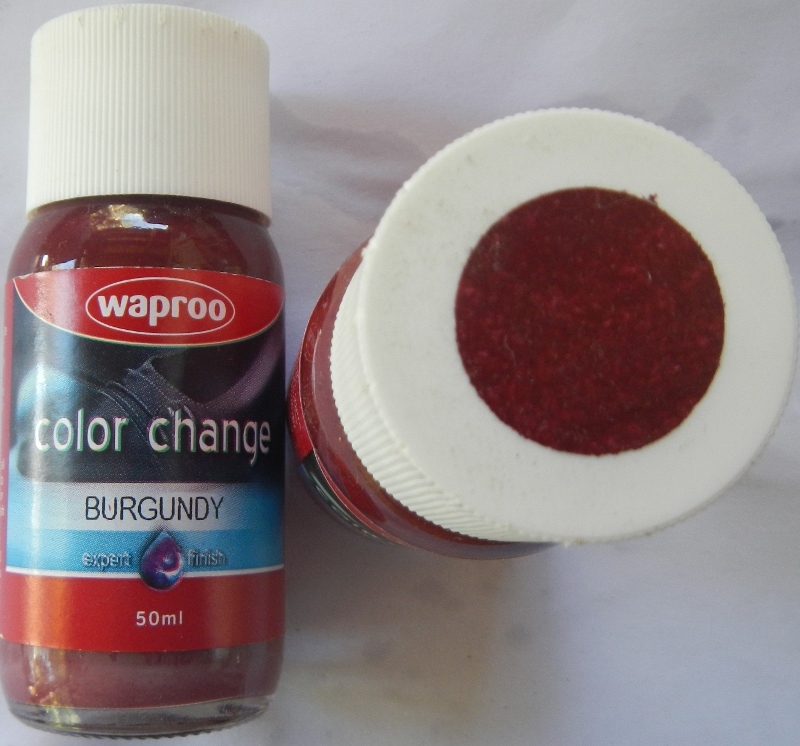 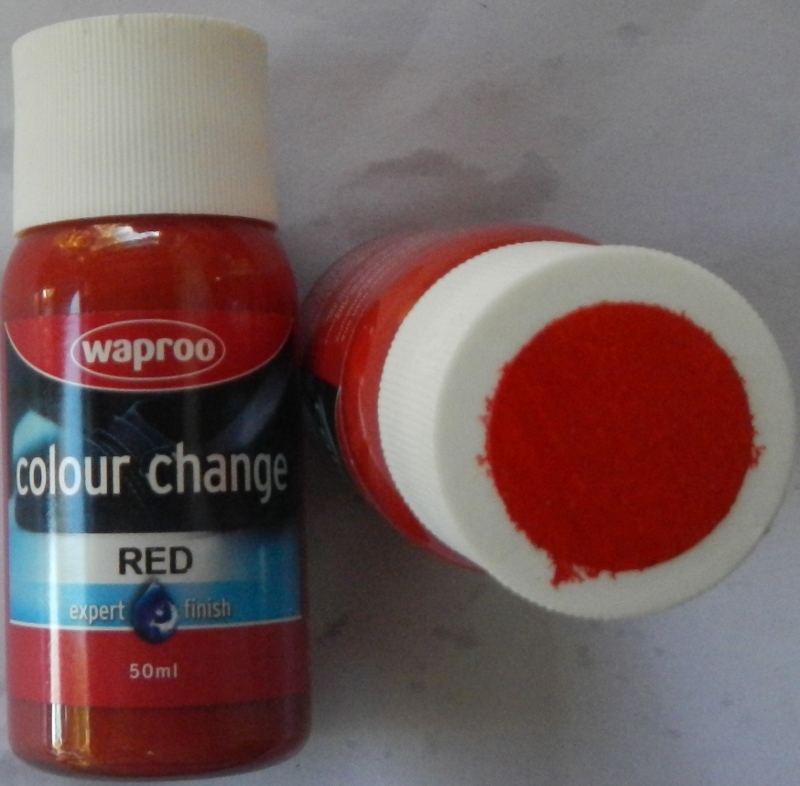 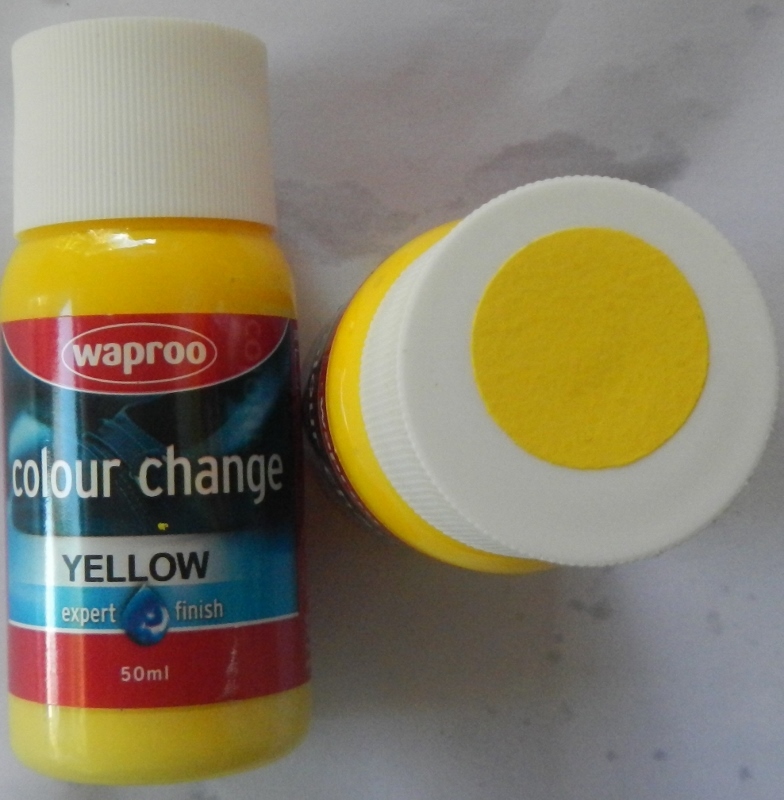 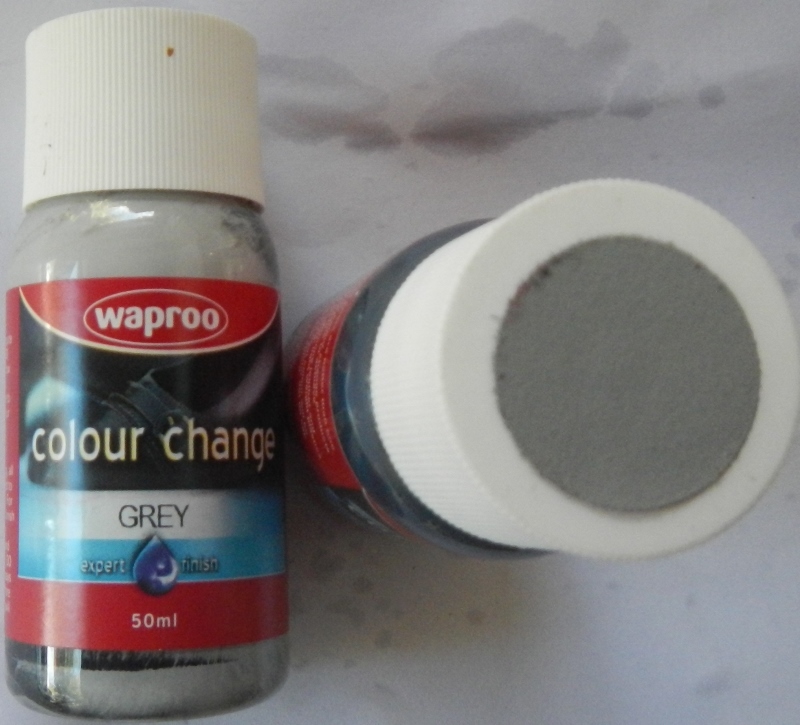 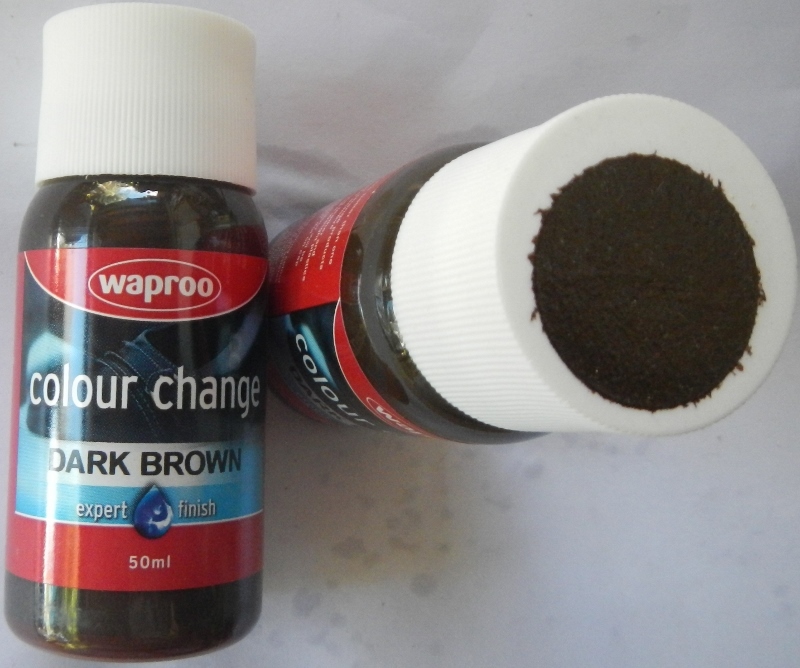 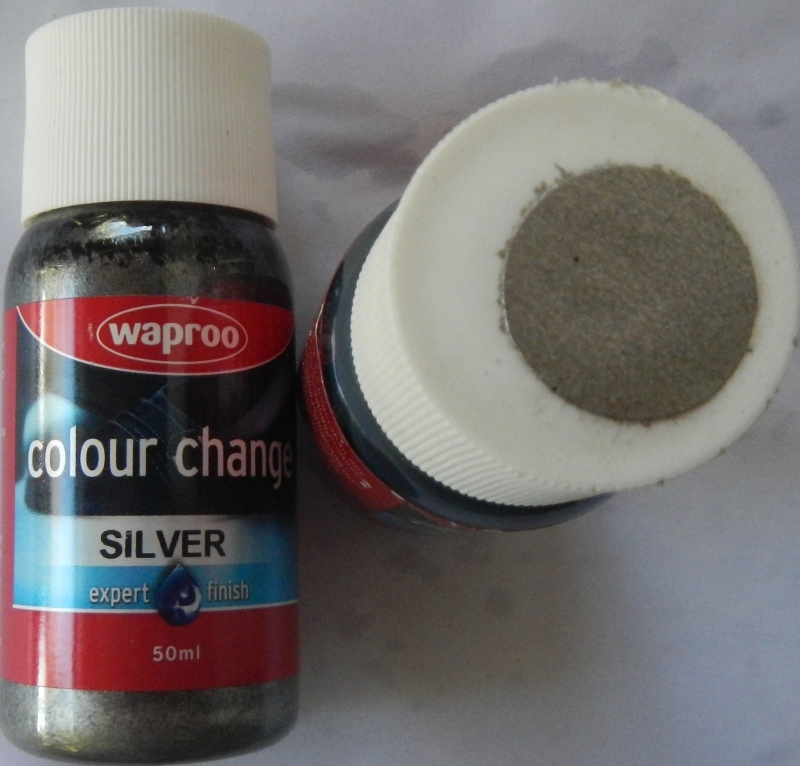 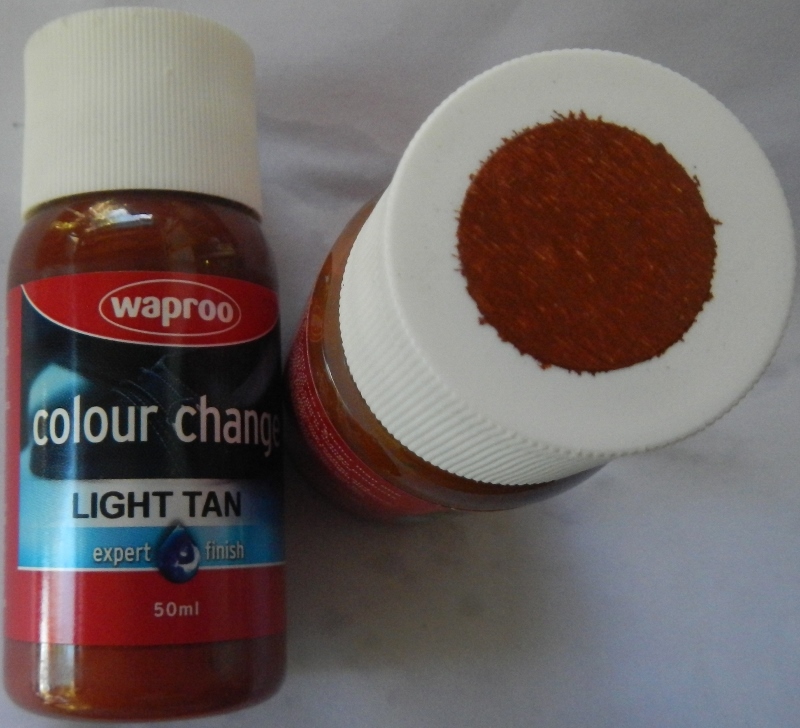 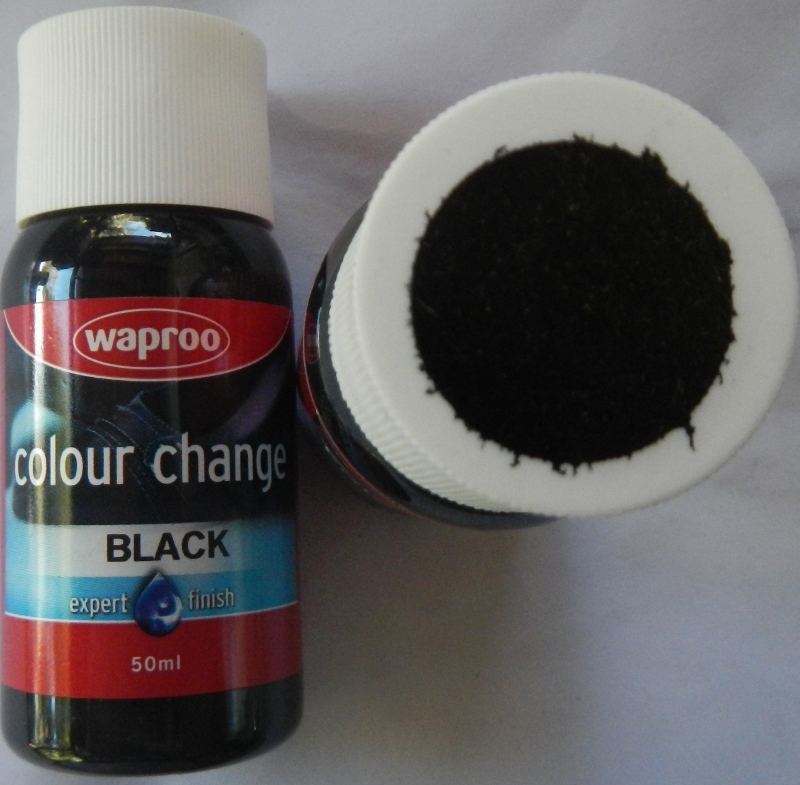 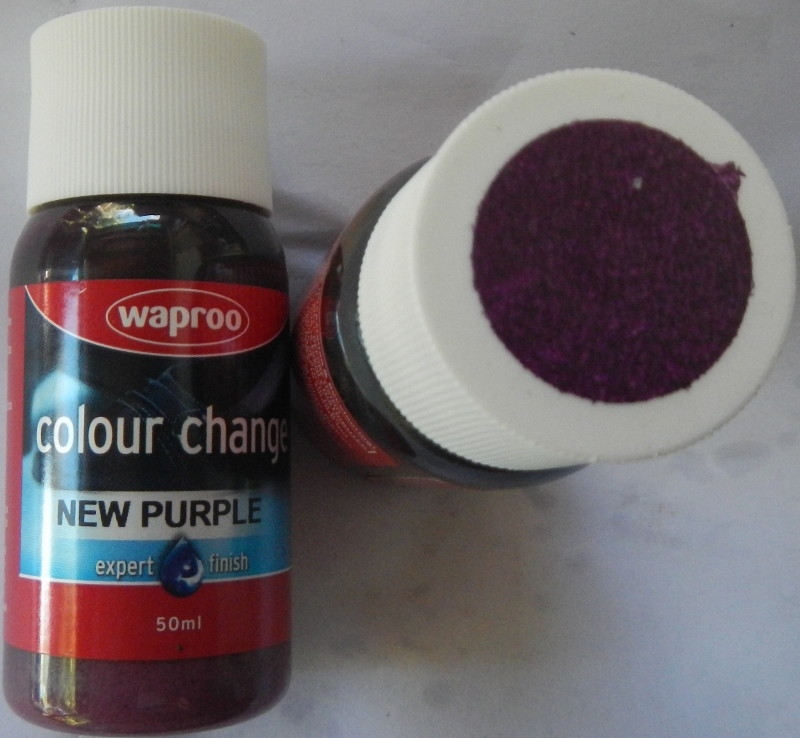 Apply Waproo Leather Colour Change lightly on the item with brush supplied with the Waproo Colour Change or use your on, quick very thin application of Waproo Paint will leave the surface smooth and not leave any brush marks. 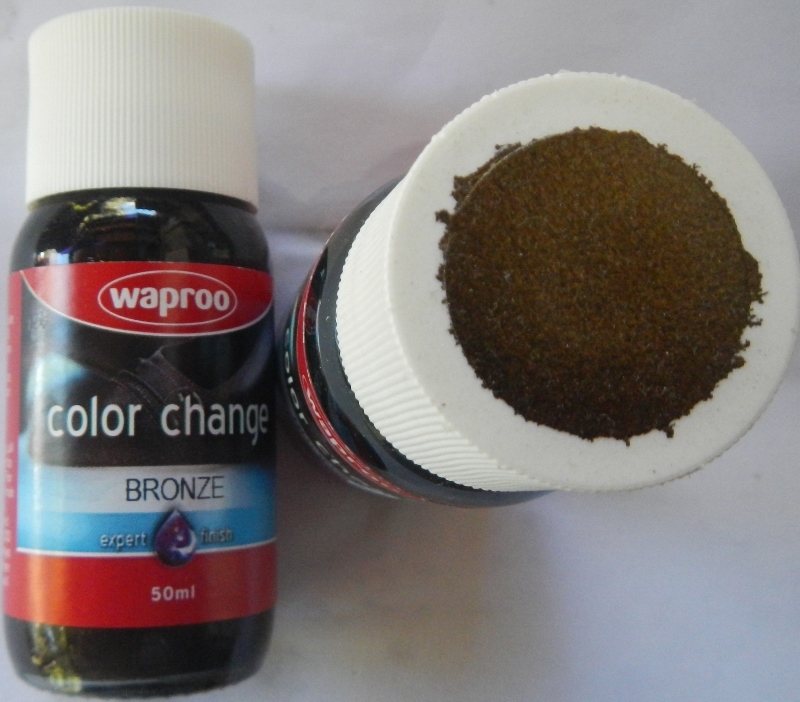 Apply Waproo Colour Change as many coats as neccessary.